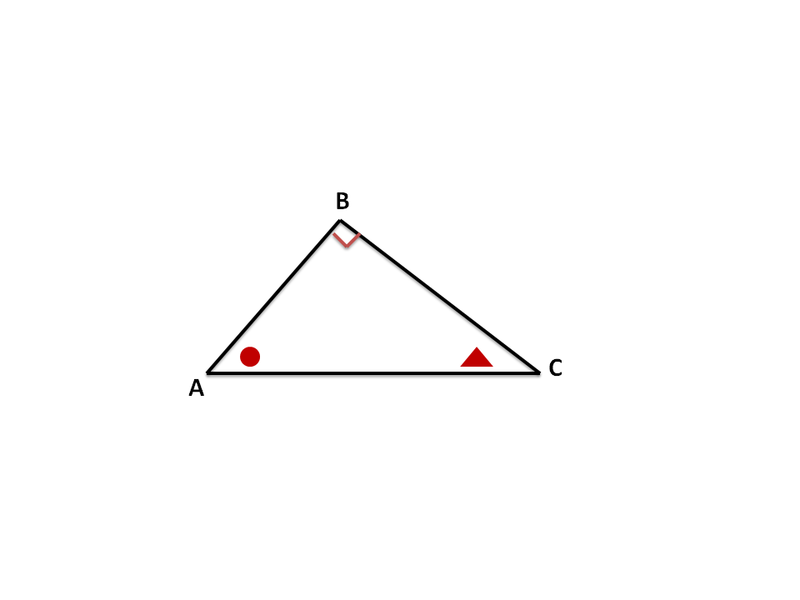 There are numerous questions on similar triangles at competition math. Practice how to spot them and use them to solve tougher chapter, median hard state questions. 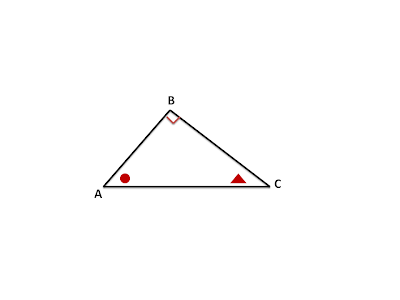 For example, There are three similar triangles in this image. Triangle ABC is similar to triangle BDC and triangle ADB. Using consistent symbols will help you set up the right proportion comparisons much easier. All because of the similarities. That is also where those ratios work. #1: What is the height to the hypotenuse of a 3-4-5 right triangle? 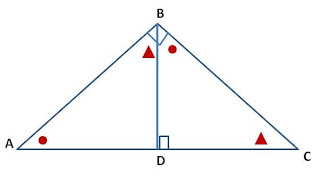 The area of a triangle is base x height over 2. The same goes with 6-8-10 right triangle, the height to the hypotenuse is 4.8. It's very straightforward so make sure you know how and why that works. 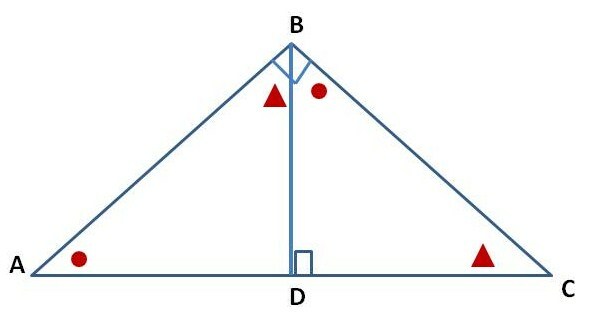 It must be noted that as done in the case of congruency of two triangles, the similarity of two triangles should also be expressed symbolically, using correct correspondence of their vertices.